In the aftermath of this week’s terrorist attacks in Barcelona, the city’s chief rabbi has warned his community that Jews in the region are doomed because of the threat of radical Islam. At least 14 people were killed and over 100 injured in two separate terrorist attacks in Barcelona and the nearby coastal town of Cambrils. Islamic State (IS, formerly ISIS/ISIL) claimed responsibility for the attack on Las Ramblas in Barcelona. “I tell my congregants: Don’t think we’re here for good, and I encourage them to buy property in Israel,” Rabbi Meir Bar-Hen said in an interview with Jewish news agency JTA. 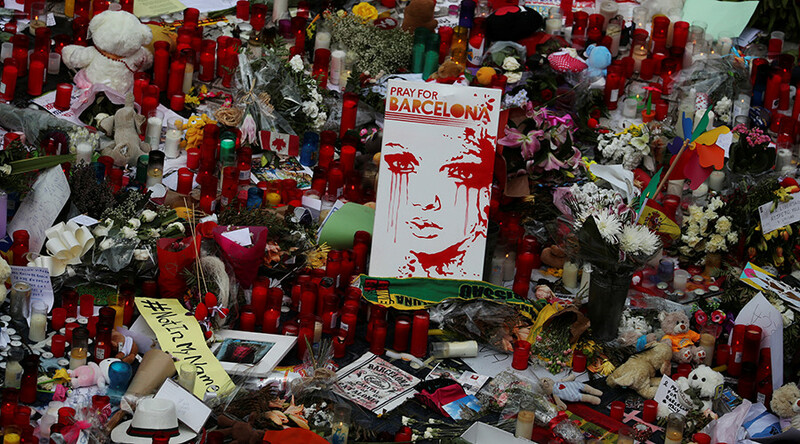 Bar-Hen said the attacks highlighted the presence of a large Muslim community with “radical fringes” in the region, and alleged Spanish authorities are reluctant to confront Islamist terrorism. The rabbi cited the recent decision to allow Palestinian Leila Khaled to enter Spain for a book festival as apparent evidence of his claim. Khaled was involved in high-profile airplane hijackings in 1969 and 1970. The rabbi, who was keen to stress that he was speaking in a private capacity and not on behalf of the community, also said this applied more widely to Europe as a whole. “Europe is lost,” he concluded.